No point in Greece is more than 85 miles (137 kilometers) from water. Greece has about 9000 miles of coastline the, 10th longest in the world. Greece has more than 2000 islands of which 170 are populated. Greece's largest island is Cede. No point in Greece is more than 85 miles (137 kilometers) from water. Greece has about 9000 miles of coastline, the 10th longest in the world. The major mountain range of Greece is the Pindus Range, the southern extension of the Dinaric Alps which from the spine of the Greek mainland, separating Eperus from Thessaly and Macedonia. Greece has zero navigable rivers because of the mountainous terrain. Nearly 80% of Greece is mountainous. Greece has more than 2000 island, of which approximately 170 are populated. Greece's largest island is Crete. Greek has been spoken for more than 3000 years, making it one of Europe's oldest languages. 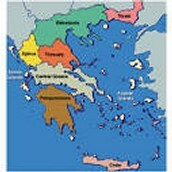 Greece is relevant, because it has spread so many different things not just throughout Europe, but throughout the world. Their influence ranges from many different things like art and philosophy, architecture and literature. Greek influence can be found almost anywhere and everywhere from art and literature and they started philosophy, but the one you will fined the most is their architecture. 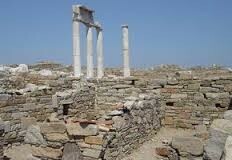 The Greek architecture has been cooperated from evan ancient times from those who have seen their cities and temples. An example is Rome yes they have their own architectural buildings, but if you look their is more Greek in the work than there is Roman. This show that Greece has influenced more than just Europe, but also the world. Delos- The island of Delos, near Mykonos, near the centre of the Cyclades archipelago, is one of the most important mythological, historical and archaeological sites in Greece. 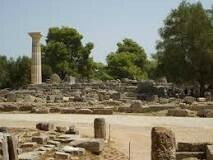 Olympia- Olympia, a sanctuary of ancient Greece in Elis, is known for having been the site of the Olympic Games in ancient times, the most famous games in history.